Direct mail delivers a tangible marketing mail piece that reinforces a sense of physical presence to your audience. Though it can be more expensive than digital marketing campaign, there still is no comparison to putting a mail piece in your customers’ hands in addition to having them scroll through digital marketing in their emails and social media feeds. Instead of replacing a direct mail campaign with a digital campaign, marketing experts are becoming more savvy about using one of the oldest traditional marketing tactics to complement digital marketing strategy and increase their response rate. The average household response rate for Direct Mail is 6.0%, but if combined with digital marketing channels such as email, web and social media, household response rates are estimated to increase between 28.0% to 37.0%. 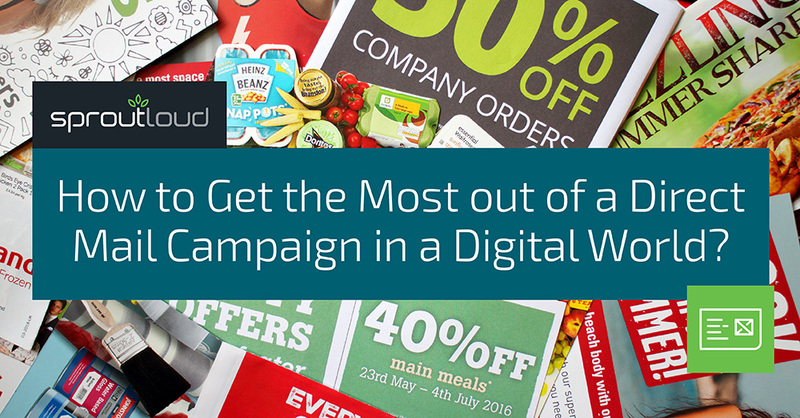 So why is combining your direct mail campaign to your digital campaign escalating response rates? It’s said that 90% of people who receive a direct mail piece will visit the website first before doing anything else. This is also because most people today check websites and promo codes on their phones. USPS statistics also state that 47% of Millennials check their mailboxes daily. Another reason for this is because direct mail is found to be more personal than an email. Adding personalization such as a person’s name is another proven effective way to make your mail piece standout from the rest, because it feels like it was written just for them. Other digital marketing tactics that are also effective are personalized URLs, QR codes, Coupon Codes as well as Interactive Images. So, if you are planning a direct mail campaign do your data prep first. Make sure your mailing list reaches the audience you want to connect with. Always include a great call to action or promotion that includes a tactic to drive traffic online. And last and most important, response and follow-up are the keys to building a future loyal customer database. 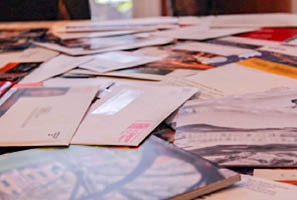 6 Best Practices for Your Direct Mail Marketing Strategy Find out what you need to know about direct mail marketing strategy before you start planning your next campaign. Acquire New Customers with New Mover Marketing Learn how to build customer relationships with new residents in your local community right from the start. 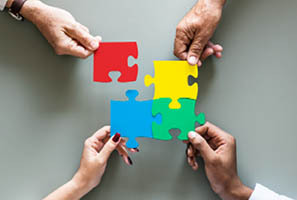 Solving the Puzzle of Small Business Email Marketing Email marketing, when done well, can help your business nurture relationships with your customers and reach them at critical moments of the customer buying journey. 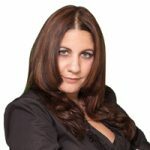 Gina DiGirolamo, Director of Print Production at SproutLoud. She relocated from New York to South Florida and joined SproutLoud’s team full-time in November 2007. She has become a recognized innovator in the technology arena within the Sproutloud Application. She specializes in Graphic Arts, Traditional Print Production, Direct Mail Marketing and Branded Marketing Materials, which includes a broad array of Print Production, Large Format and Promotional Products. She is a member of the USPS Postal Customer Council® in South Florida since 2013 and has a Degree in Visual Communications. Her areas of proficiency are in leadership, organization, communication, management, quality control, training, and her strength to oversee print production workflows to ensure high quality printing, as well as fulfillment.